The last Friday of every month amateur and professional musicians, writers, poets, painters, and all other modes of self-expressive, artistic presentation are invited to share their gifts with those gathered. Your presence makes this a truly multi-cultural experience for everyone. Artists from the Philippine’s, Morocco, Domenica and Sri Lanka have showcased their talent. There’s “room at the table” for everyone. In the tradition of the coffee house poets, we'll be showcasing every talent that wishes to perform in a fun, cozy, laid back setting. Coffee house refreshments are available at reasonable prices. I have the pleasure of being the featured artist this month and would love to see you there! 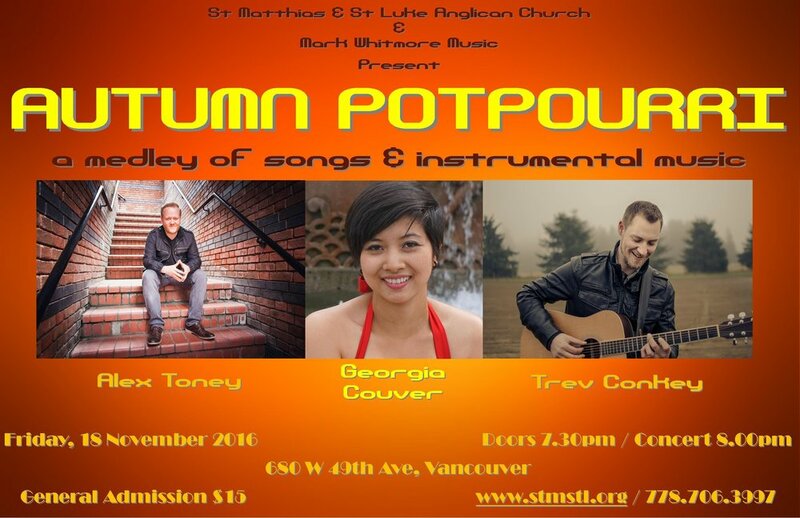 I have the opportunity to play for a special evening of music with some friends downtown Vancouver. come check it out!